Oregon is developing a thirst for cider, the fastest growing segment in the beverage industry. Cider will take center stage during Oregon Cider Week, a celebration of all things cider, June 20-29. 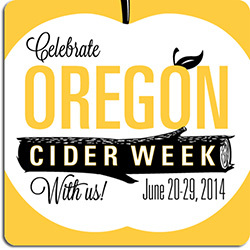 This week, posters, buttons and coasters showcasing Oregon Cider Week are turning up throughout the state. The first weekend kicked-off with the Cider Summit, followed by the International Cider Cup, both in Portland. Cider fans can explore events throughout the week ranging from cider-themed dinners to tap takeovers, creative cocktail trails, cider flights and more. Among the many daily highlights in Portland are cider tastings and flights, and a cidermaker's dinner at Hotel deLuxe; cider ice creams at Fifty Licks; tastings at The Beermongers and Bushwackers; and unique cider desserts, cider dinner, and a jazz and cider evening at St. Honoré Boulangerie. A special cider tasting is planned during the week at the Oregon Museum of Science and Industry (OMSI) as part of the popular “OMSI After Dark” series. Oregon is one of six states in the U.S. celebrating a Cider Week this year, joining California, Michigan, New York, Washington and Virginia. 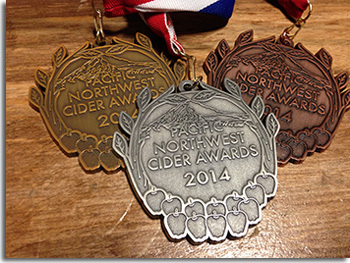 This year’s sponsors are the Northwest Cider Association (NWCA) and Northwest Travel Magazine. Visit NWCider.com for more information. As the season warm us with a hot sun, cool down with a pineapple cider! Two national cider companies, California Cider Company and Ciderboys, have both released a pineapple cider nationwide available in 6-packs. Family-owned, California Cider Company – ACE Cider – announced the release of its newest flavor, ACE Pineapple Hard Cider earlier this year with limited availability. Since the beginning of April, ACE Pineapple gathered recognition through its premier exclusive release in Yard House restaurants across the United States. The overwhelming fan base for the flavor made the company decide to take the cider to all markets this summer. The company has sold it in 42 states and seen it do equally well. ACE Pineapple is both refreshing and light. It has the aroma of fresh pineapple juice and boasts a crisp finish. While perfect for the hot summer months, this cider is a delicious thirst-quencher anytime of the year. The cider goes well with rum to make “Hawaii 5-0s” and pairs well with barbeque meat dishes – try bacon-wrapped fillet steak with an ACE Pineapple marinade/glaze! As with other ACE ciders, the cider is filtered four times and not pasteurized. However, the pineapple juice is added to the apple cider base. It is available in 6-packs and 22-ounce bottles nationwide. Similarly, Ciderboys released their latest “fruitful pairing” – Ciderboys Pineapple Hula – to splash a wave of refreshment on our summer fun. The new summer seasonal hard cider mixes a smooth, sweet citrus taste of fresh Hawaiian pineapple with the crisp, tart sweetness of apple cider. 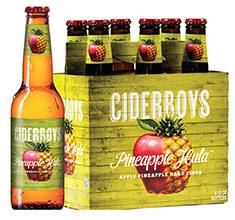 Ciderboys Pineapple Hula is now available at retail wherever Ciderboys products are sold in six-packs of 12-ounce non-returnable bottles and on draft. The cider is also available in select states in Ciderboys’ hard cider variety 12-pack, which also features Ciderboys First Press, Strawberry Magic and Peach County. 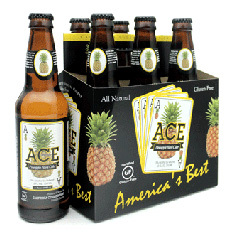 For additional information on ACE Pineapple, please visit ACECider.com. For additional information on Ciderboys Pineapple Hula, please visit Ciderboys.com. 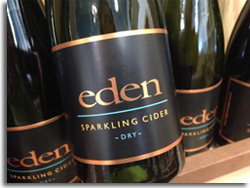 Eden Ice Cider announced the expanded release of Eden Sparkling Dry Cider to markets outside of Vermont. Released in a limited quantity in Eden’s home state last year, it was named Best Vermont Cider 2013. As of summer 2014, it is now also available in New York, Boston, Maine, New Hampshire and shortly in Chicago. Eden Sparkling Dry Cider is made with locally grown apples, including traditional heirloom and cider varieties. 50% of the blend is Kingston Black, a classic British cider variety. The cider is fermented and aged in French oak puncheons for a year, then bottled with a secondary fermentation that is created with additional juice rather than sugar. After another six months each bottle is hand-disgorged in a careful process that removes the yeast but retains the vibrant natural effervescence of the in-bottle fermentation. The finished cider has 8.5% alcohol as a result of using true cider variety apples that have higher beginning sugar levels than typical dessert apples. Eden Sparkling Dry is a full-flavored, tannic, clean and very dry with a champagne-like mouth feel and bright acidity. 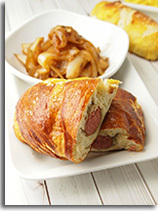 It is a wonderful accompaniment to food, including barbeque, cheeses, and grilled fish. It makes a sublime pairing with oysters, and is featured on the menu at Balthazar in New York City. For more information about Eden, including distributors and availability, visit the “For The Trade” page at EdenIceCider.com. 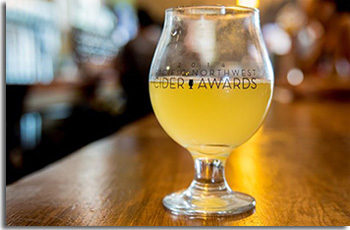 Earlier this month, 16 judges from across the Pacific Northwest gathered at Seattle’s Capitol Cider for the first annual Pacific Northwest Cider Awards (PNWCA). The inaugural competition drew an exciting 95 ciders from 26 cideries throughout the Pacific Northwest, including Washington, Oregon, Montana and parts of Canada. Divided into 10 distinct categories, gold, silver and bronze medals were awarded for almost every category, as well as a “Best in Show” medal, chosen from a second tasting made up of the gold medal winner from each category. For more information, visit PNWCA.com or follow PNWCA on Facebook and Twitter for all the latest news and events. Milton-Freewater and Blue Mountain Cider Company are proud to present a new specialty hard cider, “Oregonian.” As native Oregonians with deep ties to the land, the Brown family has been farming fruit in Oregon for over fifty years. This estate driven cider is made from fresh pressed apples, grown on the family orchards, located on the Oregon side of the Walla Walla Valley. Five apple varieties were blended, Gravenstein, Grimes Golden, Golden Russet, JonaGold, and Winesap, to achieve this farm driven 6.4% ABV cider. As distinct and diverse as the great State of Oregon, a different strain of yeast was used for fermenting each apple variety used in the cider, including a wild fermentation for the Golden Russet juice. Once fermented, part of the Gravenstein juice was aged in American Oak barrels for six months, while the Grimes Golden juice was allowed to sit on its lees for an extended time. Before bottling, non-fermented, fresh pressed Jonagold juice was added to provide a touch of sweetness. To finish and commemorate Oregon, the cider was bottled 155 years to the day after Oregon was officially admitted as a state into the United States of America. This dry cider has a clear light straw hue. A subtle oak comes through the nose along with a spring apple blossom bouquet. It has a great balance that starts with citrus flavors, displays hints of fresh pear with some subtle earth notes. The perfect amount of acid on the finish lingers with depth and resonance. This would pair wonderfully with some grilled fish, steamed jasmine rice, and fresh summer vegetables. Oregonian cider will be offered in 750ml bottles in retail and on-site locations throughout Oregon and Washington, as well as limited draught availability at bars. Blue Mountain Cider Company produces hand-crafted hard ciders using fresh pressed apple juice from their family’s farm in Milton-Freewater Oregon. More information is available at DrinkCider.com. 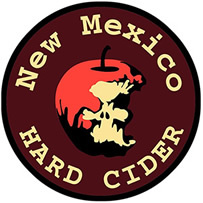 New Mexico Hard Cider is excited to be releasing six new flavors just in time for the summer – Dry-Crisp Apple, Semi-Sweet Apple, Apple Pie Cider, Apricot, Tart Cherry, and Pear. The Dry-Crisp Apple is a dry apple cider with a little bit of fizz and a clean finish. The clean finish allows it to be paired nicely with a succulent piece of grilled pork or chicken. If you are not a meat lover, do not worry as the Dry-Crisp also pairs beautifully with most sharp cheeses. The Semi-Sweet Apple provides a touch more sweetness than the dry as its light carbonation provides big refreshment. Given the sweeter nature of this particular cider, it makes for a fantastic partner for a bounty of fruits and vegetables, which makes a summer salad the best choice. If you have a real sweet tooth, the Apple Pie Cider is serving up that fresh from the oven feel with a collective blend of spices to leave you wanting a second helping. If you really feel like indulging try the Apple Pie Cider paired with a piece of glazed ham and potatoes, its ok, we know you want to. Aside from the three apple staples from New Mexico Hard Cider, they also have two infused apple flavors including a light, refreshing, and mildly tangy Apricot, as well as a Tart Cherry that offers up the perfect balance of tart and sweetness. The Apricot can be enjoyed with most fruits, grains, and rice while the Tart Cherry goes hand in hand with dark chocolate. 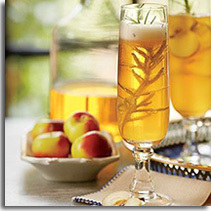 Last but not least, is their Pear Cider – a semi-sweet beverage complimented beautifully with ripe apples. The Pear Cider also pairs well with sharp cheeses, nuts, and pork. All of New Mexico Hard Ciders’ flavors are available for sampling and purchase at the award-winning Estrella Del Norte Vineyard located in Sante Fe, NM. Patrons can try six tastes for $6 or take some home to share at $2.99 per bottle. Each cider contains an ABV of 7%. The Estrella Del Norte Vineyard tasting room will be open this summer Monday – Saturday from 10am to 6pm and on Sundays from 12pm to 6pm. 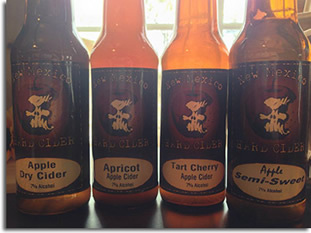 For more information about New Mexico Hard Cider please visit NMCider.com. For more information about Estrella Del Norte Vineyards please visit EstrellaDelNorteVineyard.com. 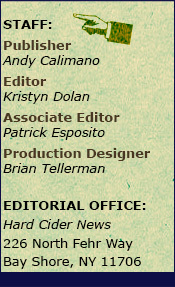 Photo courtesy of New Mexico Hard Cider.